This is our variation of the popular texas jock strap, this holster was inspired by the work of S.D. Myres. 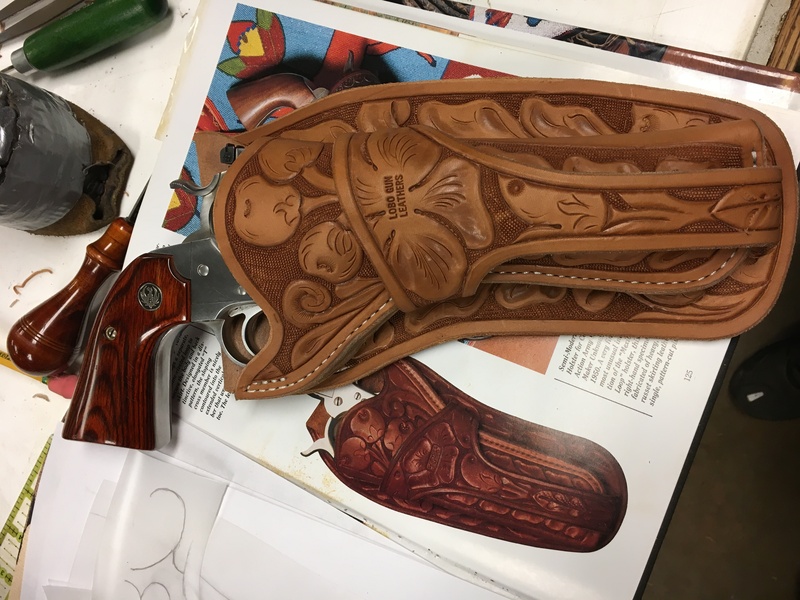 using original photos this holster was tooled to match an original. Constructed using heavy skirting leather to provide many years of use in the toughest and heaviest of use.